Garden cemeteries were laid out and designed so they could be a respite from the cities that surrounded them. Not only were the cemeteries intended to be burial places for the dead but a park that families could go to for a Sunday afternoon picnic or drive. 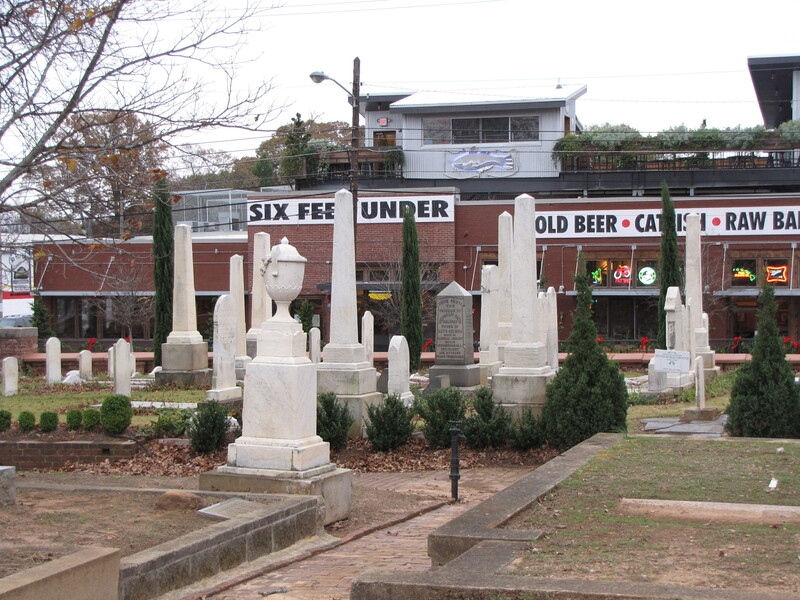 Oakland Cemetery, founded in 1850, in Atlanta, Georgia, is one such cemetery. At first, it only had six acres but later expanded to 88 acres containing the graves of many Georgia luminaries such as Gone With the Wind author Margaret Mitchell Marsh, golfer Bobby Jones, and John Pemberton, the pharmacist who concocted Coca-Cola. 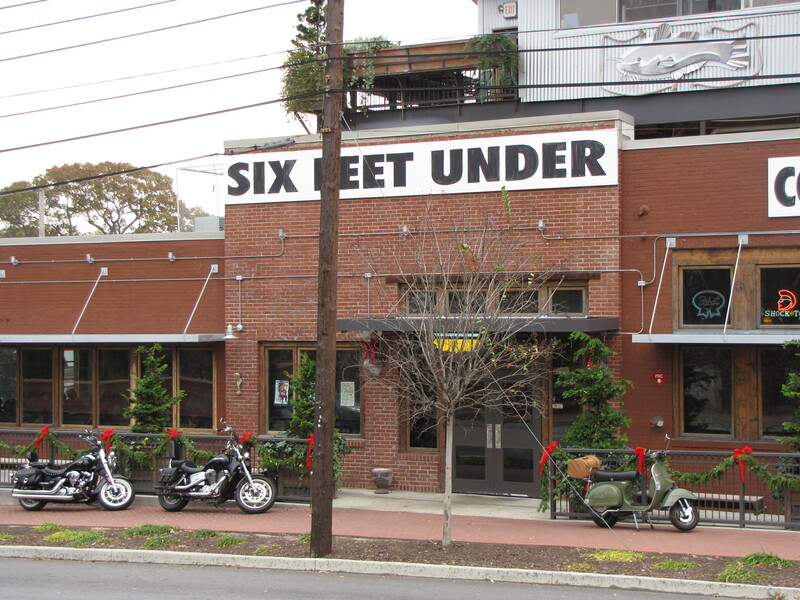 If traipsing through a cemetery works up a thirst and hunger, leaving you wanting a nosh, a perfect oasis was opened by a restaurantuer with a sense of humor right across Memorial Street appropriately named SIX FEET UNDER. You can sit and enjoy a beer and some Southern food favorites like seafood gumbo, hush puppies, fried green tomatoes, or a catfish po’ boy along with many other pub-food favorites. The fish house has a terrace on top that has a bird’s eye view of Oakland Cemetery, the perfect place to sample the keylime pie and ponder life and death. It looks like a Putt-Putt golf course.